When presenting, avoid using a script or reading the text displayed on the slides. Television news anchors read the news to us every night. If they are experienced, you may have a difficult time detecting the motion of their eyes as they read the words from the teleprompter. Good news anchors are able to read but make it sound like they are simply talking. This technique takes considerable experience and time to master. It is also easier to read in the controlled environment of the studio. You are not in a studio, and my guess is you are not trained to read from a teleprompter. This is actually a good thing. There are several reasons why it is much better to limit the text notes in front of you. 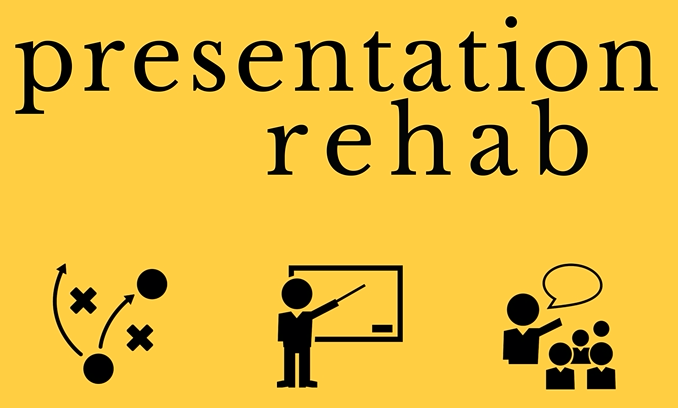 Pictures and diagrams are preferable to bullet points and text on your slides. One of those reasons is that you want to focus on the audience, not face away from them reading the text word-for-word from the screen or lean over a podium reading from your computer. Even if you use notes based on the slides, there is a tendency to focus on the text. When your focus is on reading your presentation, you can't connect with the audience to ensure they're engaged or even awake. 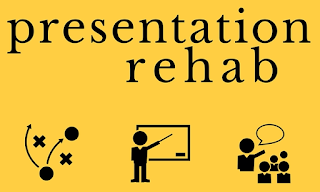 Many presenters choose to read prepared text - either on slides or notes - in order to stay focused on the message and avoid meandering off topic during the presentation. However, if you are locked in to a specific set of words and these are the ones you've practiced, it is very likely that a slight distraction could derail the presentation. Much like a train, focused practice in order to memorize a talk or read can easily cause you to lose focus and not be able to get back on track. When my daughter was taking piano lessons, with the goal of performing memorized classical selections at a recital, the teacher encouraged her to pick random places within the song to start playing. That way, if something my daughter stumbled in the middle of a piece, she could find a place from which to keep playing. Usually, the tone, pacing, and expression are different when reading as opposed to simply free speaking. The same holds for memorized text. Most people can immediately sense when you're not talking to them but using a script. If you've ever called a help desk number and been transferred to an overseas call center, you likely have experienced a scripted conversation. Because English is a second or third language for the staff, they must refer to their scripted notes in order to communicate and ensure a standard response to problems.